i figure with all the bs threads why not have 1 for the beloved king. Usually there's abunch that get started for the King that We end up merging togeter into one big BS thread. Whats this for? So everyone can complain theres no ice on the King? any ice on the king yet?? Not hardly, not even the shallowest cove would have any skim ice. I'm down for a little pregame BS'ing about the King. I think the off year last year will create some killer perching this year for sure. The angle of the dangle is directly proportionate to the heat of the beat. I drove through the village today and went down by MDB and not a sign of ice....LOL. You gotta think that with the lack of ice last year the perch will be slamming this year. Can't wait to limit out. I was also at 307 and purchased my Clam flip over and a couple rods, they had boxes all over getting ready for ice season. MEALWORM...... YOU KNOW YOU HAVE MADE IT IN THE ICE-FISHING WORLD WHEN YOU HAVE YOUR VERY OWN BS THREAD ON ICESHANTY.COM LONG LIVE THE KING ! If you find those big crappie thru the ice on the King - I am all ears. I have seen some slabs caught in the Spring there. I have only caught 9 inch crappie, and just a few at that, thru ice there. the perch fishing should be good after a year without ice. I have seen that happen before. First things first, we still need to get ice on it. A lot of people are drawing conclusions about ice based on a few cold nights in November. I don't predict ice until I see it. 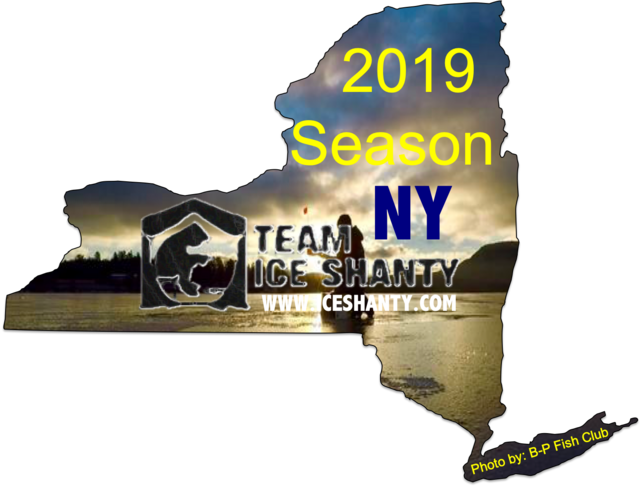 No, I'm sure we'll get at least 20 posts saying is there ice on Lake George yet? or How's the conditions on lake george. If people would just do some research for themselves, like going to ice fishing conditions & reports thread, look @ the web cams, that would answer most questions! A BS thread is good to have, let's keep it up! Ahh........Is there ice on Lake George yet? I have no plans of removing it. Just saying I get amused by the amount of Lake george threads started in one year. I have a feeling that the perch and Lakers will be slamming. You have to remember the year before last wasn't all that great either so I would also think this year should be great... if we get ice. Anyone know of a site the tells the current water temp? I did a search and came up empty. their was ice on the king last year? I know the year before their was and alot of it. You know I'm giving you grief for some of those pics mealworm! Still remember telling the lady that day. "We're not going out that far. Those dudes are nuts." Wasn't surprised it was you and the clan when I finally inched my way out. Dom, if you don't want to drive home that day, I've got an extra room for you!